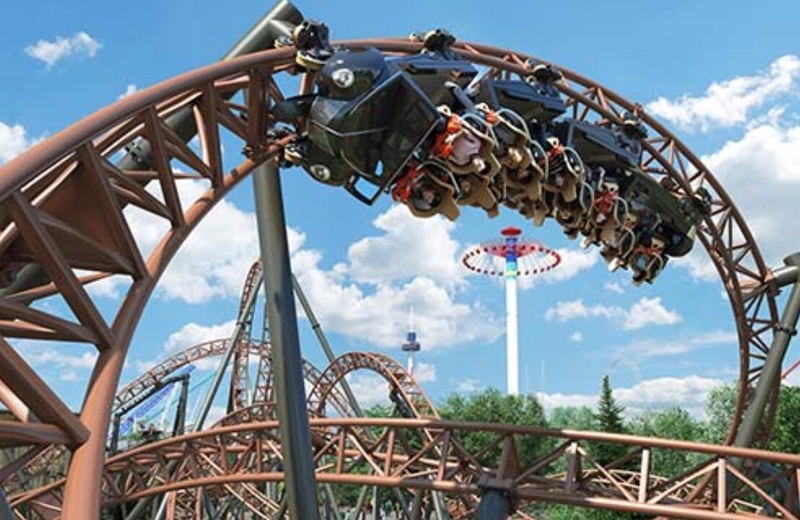 Insane Coaster Wars has featured many different theme parks this summer, but the fun doesn’t end yet.The Travel Channel will feature four different roller coasters, all of which are pretty well known. The “Extreme Heights” episode of Insane Coaster Wars will premier tomorrow (July 29) evening at 9pm ET. 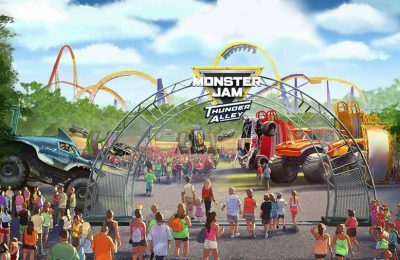 Travel Channel will feature Diamondback (Kings Island – Mason, OH), Millennium Force (Cedar Point – Sandusky, OH), Intimidator (Carowinds – Charlotte, NC), and Kingda Ka (Six Flags Great Adventure – Jackson, NJ). 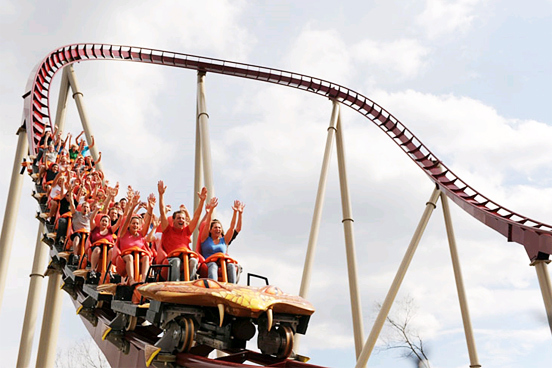 Diamondback opened in 2009 at Kings Island. It features a 215′ drop, along with other drops, and a splash down area. Millennium Force features a 300′ drop and a lot of air time. It’s a fan-favorite at Cedar Point. Intimidator opened in 2010 at Carowinds. It’s themed to Dale Earnhardt, the race car driver. And finally, Kingda Ka is the world’s tallest roller coaster, and was once the fastest, until Formula Rossa opened in Abu Dhabi in 2010. For more information about Kings Island, Cedar Point, Carowinds, or Six Flags Great Adventure, visit their official websites at http://visitkingsisland.com/, http://cedarpoint.com/, http://carowinds.com, and http://sixflags.com/.